Here are some Nepal Rastra Bank Old-Model Questions that we collected from various sources. 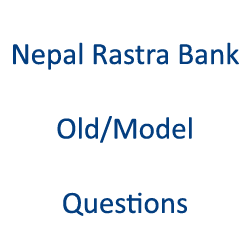 These model questions of Nepal Rastra bank will help to prepare exam for bank jobs on that bank. Check below the model questions of the various post as your requirement.